How do you convey the serious nature of carbon monoxide poisoning in a simple way, to any audience who hasn’t been listening? You put a smiling face behind it. This was the idea behind the latest phase in the Fuel-Burning Appliance Safety Campaign. With the Yukon Housing Corporation, we have run three campaigns over the past two years, but there were certain demographics that were still proving to be hard to reach. But offer a local smiling face, some expertise, and free coffee and cookies, and even the most advertising immune will find you hard to ignore. This phase of our campaign incorporated all three—smiles, smarts and sweets. 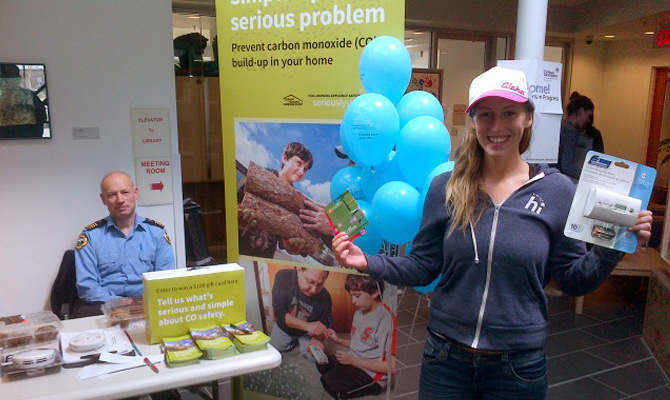 CO safety booths were set up around Whitehorse throughout the month of May. 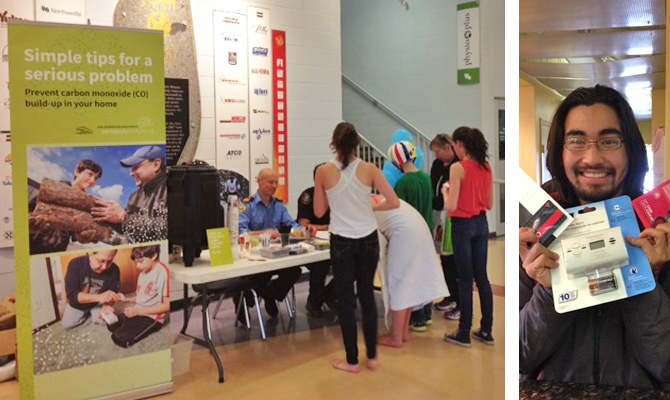 We partnered with the Yukon Government’s Department of Community Services, Building Safety Branch and Fire Marshal's Office, as well as the City of Whitehorse Fire Department, to provide friendly, credible experts on CO safety to talk to the public. They chatted with residents, answered questions, provided little known facts, handed out refreshments, snacks and balloons and ran a contest throughout the day. It was a tall order and they were more than up for it! Supporting materials for this campaign included mailers to all homes in Yukon communities outside of Whitehorse, that featured local faces and the wonderful photography of Cathie Archbould. Arpi Singh also joined us to produce three “streeter style” radio ads, challenging real Yukoners about their CO know-how.